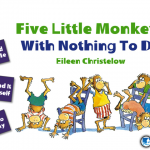 Five Little Monkeys With Nothing to Do ($1.99) by Oceanhouse Media has hit another home run with a new Five Little Monkeys book. The story of Five Little Monkeys With Nothing To Do may sound very familiar to many families around this time of the summer. As kids become bored with their summer routine and sit in front of the iPad playing games, give them a new book to read instead. 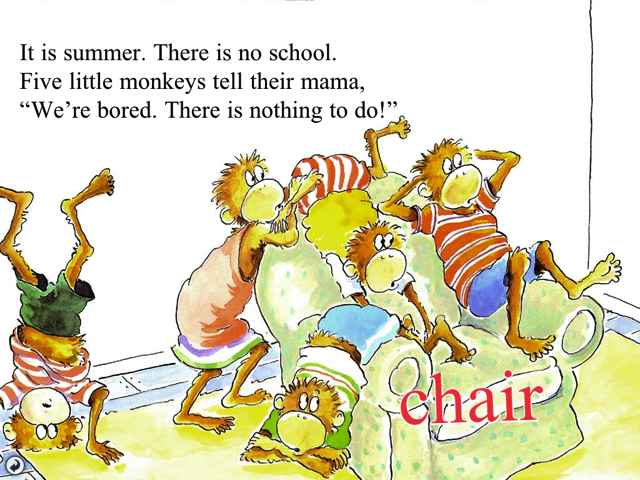 Five Little Monkeys With Nothing To Do is a charming story about the popular monkey family and their summer boredom. The monkeys all admit they can’t find anything to do by telling their mom they are bored. As usual, moms have all sorts of ideas up their sleeve and the monkey's mom is no different. She sends them on their way with chores around the house. 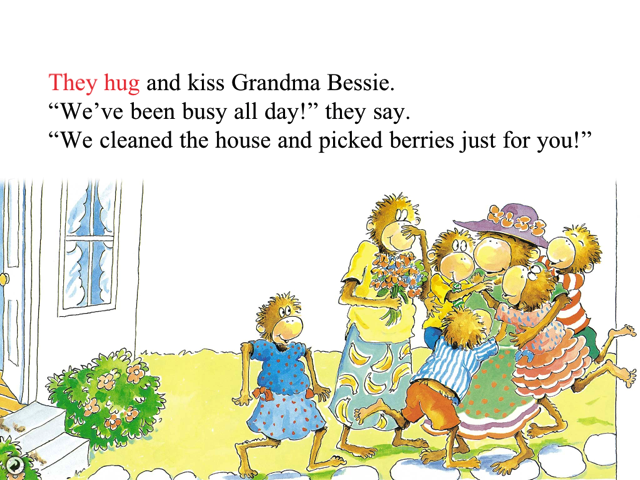 All this is done in preparation for their Grandma Bessie's upcoming visit. 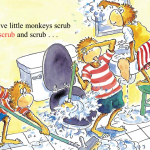 Without giving away too much of the story, the monkeys scurry around cleaning, just like mom asked. 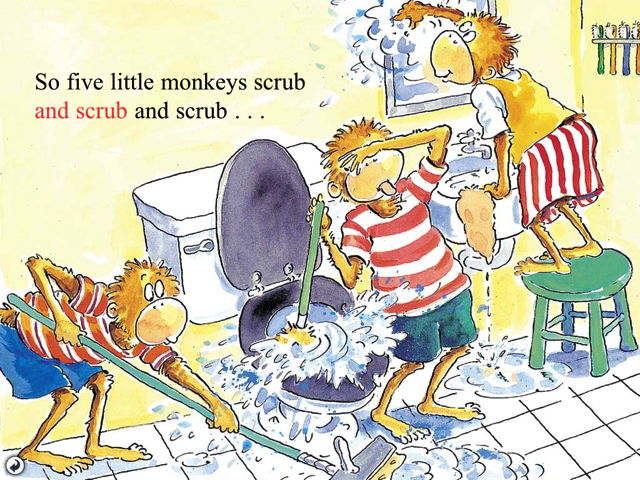 Their idea of being helpful, however, causes the monkeys to wind up in a messy little situation. 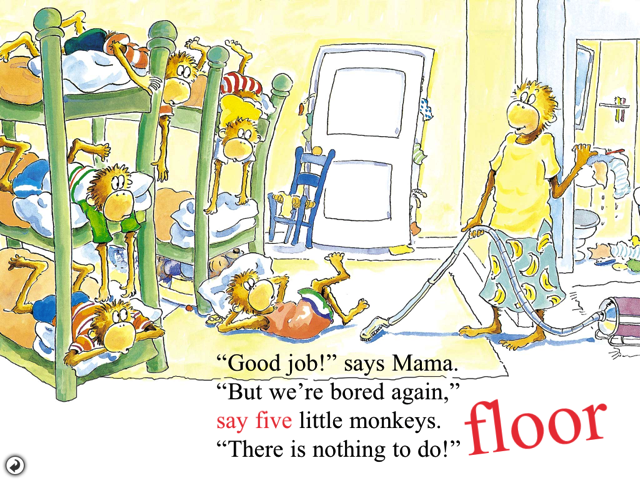 The artwork in Five Little Monkeys With Nothing To Do is creative and clever, and it will capture a child’s imagination. 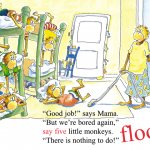 The story is long enough to help a child wind down and relax, but not too long that it would cause them to be bored. 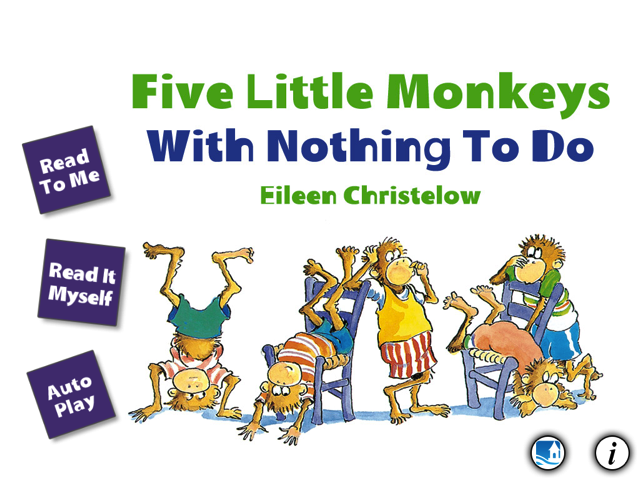 There are three ways to read Five Little Monkeys With Nothing To Do: Read To Me, Read It Myself or Auto Play. Each can be a good choice depending on your child’s reading level. The Read To Me mode has spoken audio of the story and highlights the words so a child can read along. They can touch the objects in the picture and turn the pages. 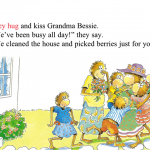 Read It Myself allows a child to read and turn pages at their own pace. Auto Play has spoken audio and the pages turn automatically. This mode is great for younger children. No matter which reading mode you choose, there is outstanding background audio, which draws the reader into the story. 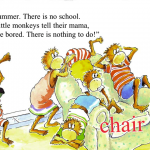 You will hear monkey sounds, cleaning noises and other background clatter that help to keep the story interesting. There are also word associations; when an object is touched such as a chair, the word “chair” will pop up as it is spoken. This story may prevent your kids from ever saying they are bored again. 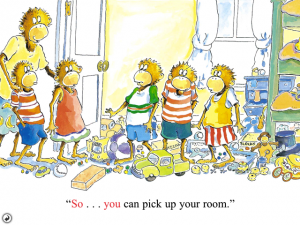 One can only hope that when they are, they may just go clean up their rooms, even without mom asking.